This is pure flamboyance from Sam Mendes as the 24th movie of the James Bond franchise combines hold-your-breath action and ghosts of 007 past, says Robbie Collin. What do we do now?” wonders Madeleine Swann (Léa Seydoux), around halfway through the new James Bond film SPECTRE, shortly after our hero (Daniel Craig) has done away with a villain in creatively gruesome style during a railway journey across the Sahara. Of course, everyone in the cinema knows the answer – as, you suspect, does Madeleine, who, less than 24 hours after meeting cinema’s premier secret agent at a snow-swathed clinic in the Austrian Alps, has jumped continents to Morocco, boarded the Tangier to Marrakesh sleeper, slipped into an ivory cocktail gown, repaired to the dining car for a Martini (neither shaken nor stirred, but dirty, FYI) and shot a couple of bad guys in the head for good measure. A Bond film’s rules might be predictable, but once its mechanisms start whirring, you can’t help but fall in step. An impossibly glamorous love scene isn’t just a good idea; it’s virtually mandated by the cosmos. If James Bond Skyfall, the 23rd film in the Bond franchise, was about making sense of the Bond character in the modern world, finally resetting the clock with that delicious closing scene – Bond, M and Moneypenny restored to the wood-panelled office of old – SPECTRE, the 24th, is the film that Skyfall made possible. The four-word epigraph that begins the film – “The dead are alive” – reminds you that no film series has been better at raiding its own mausoleum, and throughout SPECTRE, ghosts of Bond films past come gliding through the film, trailing tingles of nostalgic pleasure in their wake. It starts in Mexico City, however, with something completely new: a hold-your-breath tracking shot, perhaps five minutes in length, that follows Bond through a surging street parade, into a hotel, up three floors, into a suite, out of the window, and much further, without a single observable cut – an instant all-time greatest moment in the franchise. It’s a swaggering show of confidence from returning director Sam Mendes and his brilliant cinematographer, Hoyte van Hoytema, who shot SPECTRE on luxurious 35mm film – a marked change of texture from Skyfall’s gleaming digital froideur. The film’s colour palette is so full of mouth-watering chocolates, coffees and creams that when the story moves to Rome, the city looks like a $300-million-dollar, fascist tiramisu. Bond has gone to Mexico on the advice of M – not the Ralph Fiennes model, but the Judi Dench version, who in a posthumous message that has surfaced since Skyfall, asks him to do away with a contract killer, Sciarra, “and don’t miss his funeral”. 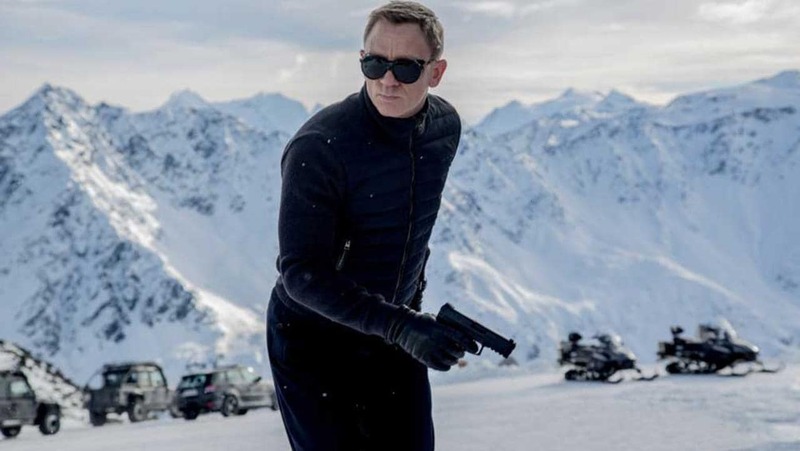 SPECTRE: how many classic Bond references did you spot? Sciarra – or rather, his widow, Lucia, sleekly played by Monica Bellucci – turns out to be the frayed stitch in a conspiracy that loosely knots together the events of the previous Craig-led films. (Or Casino Royale and Skyfall, at least: Quantum of Solace is tactfully ushered off-stage for the most part.) The trail leads Bond to a creaking cabin on the shore of Lake Altaussee in Austria, then on to the mountaintop clinic and Madeleine, whose name’s Proustian resonance – surely the most highbrow Bond Girl pun to date – does, as promised, spirit 007 to an encounter with his past. Much speculation has swirled around the film’s main villain, Franz Oberhauser (Christoph Waltz), and the particulars of his agenda won’t be mentioned here, but suffice it to say: despite the globe-encircling master plan, this time, it’s truly personal. Waltz occasionally dices with camp, but mostly underplays what’s essentially a ridiculous role, deploying a blank serenity that’s truly chilling in key scenes, including his first appearance in the SPECTRE boardroom, silhouetted against a column of golden light. Craig, meanwhile, captains Bond into a majestically craggy middle age, bringing a mature, clenched physicality to the chase and combat scenes, and even allowing himself the odd crumpled smirk after a deadpan quip. There is an elegantly subtle moment in M’s office towards the start of the film in which both Bond and his boss both look their age: they’re having to contend with younger, nimbler threats from within as well as without. To that end, the British government is developing an international surveillance scheme called Nine Eyes with a view to rendering the (dated, unaccountable) double-0 programme redundant. It’s being masterminded by Denbigh (Andrew Scott, known to many as Sherlock's arch-nemesis Moriarty), a Whitehall mandarin whose code name is C: we never find out what this stands for, but given his conduct, it’s easy enough to guess. We’re also spared the details of exactly what the scheme will entail, though Denbigh talks about capturing “the world’s digital ghost”, and boasts of being able to scan through CCTV footage from any member nation at will. But a couple of junior MI6 members aren’t sold on it: they are, naturally, Moneypenny (Naomie Harris) and Q (Ben Whishaw), both of whom develop their Skyfall roles with charm and wit (and, in Q’s case, some excellent knitwear). Up against this flinty modernity, though, writers John Logan, Neal Purvis, Robert Wade and Jez Butterworth rub sly references to the Bond canon, and craft moments of pure flamboyance that belong there: a secret base inside a crater, a spot-lit meteor as an interior design feature, a wrestling match in a pilotless helicopter, two leonine sports cars roaring through the Roman night. There is also a torture scene for the ages, peppered with dark laughs, but tense and shiveringly sadistic – which probably tests the film’s 12A certificate to its limit. But Spectre pulls it off in the grand old Fleming style. It’s an act of pure cinematic necromancy.